Well there's something I don't see everyday... one my logo designs etched into mirror! The Double Aught Ranch (formerly Wranglers) has been busy with upgrades since the ownership changed hands. Along with new paint, wall patches, bathroom repairs, the DAR made SERIOUS upgrades to the food menu, hospitality and live music. Owner Claude Dacorsi had a few unique decorations commissioned for his bar: an etched mirror and a plasma cut metal sign. Both featuring original artwork and logos designed by Patey Designs. I'm flattered Claude! Keep up the good work, the bar is looking great! If you're out in the Canby area, make sure you stop in and see what #NoFakeCountry at Double Aught Ranch is all about. 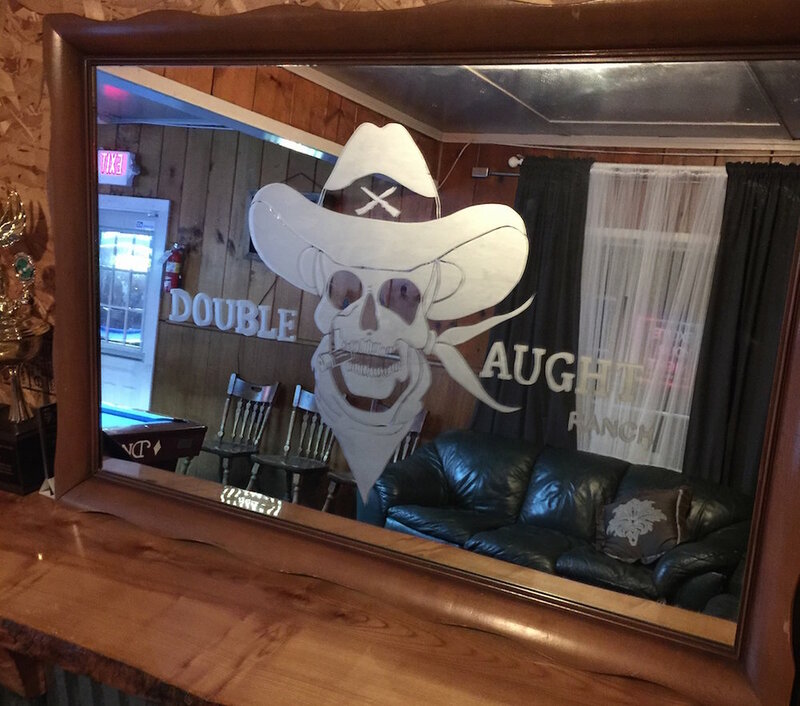 Patey Designs artwork and logo (simplified) for Double Aught Ranch in Canby etched onto mirror. If not, you might want to. Neat updates, free stuff, discounts. All that great jazz. We respect your privacy. AKA we don't sell your info or spam you.